Citizenship by investment takes about 4 months to be processed but may be accelerated to 60 days. Are you looking for St Kitts and Nevis Citizenship by Investment? In this article, we discuss why and how you must get Kitts and Nevis Citizenship and why get it by investing in the country? Living in St Kitts and Nevis isn’t just a chance to live by the sea. Once you get citizenship of this beautiful country, you can travel to over 130 countries without a visa and enjoy a number of tax breaks. If you’re a high net worth individual, you may be eligible for St Kitts and Nevis’s citizenship by investment program. Who wouldn’t want to live on an island? Better still, an island with mountains. That’s what brings people to St Kitts and Nevis. Along with its natural beauty, this two-island nation has a rich history and vibrant culture. The people here are warm, inclusive and welcoming towards all foreigners and immigrants. If you’re looking at staying here for more than a just a holiday, you may want to consider their citizenship by investment model. 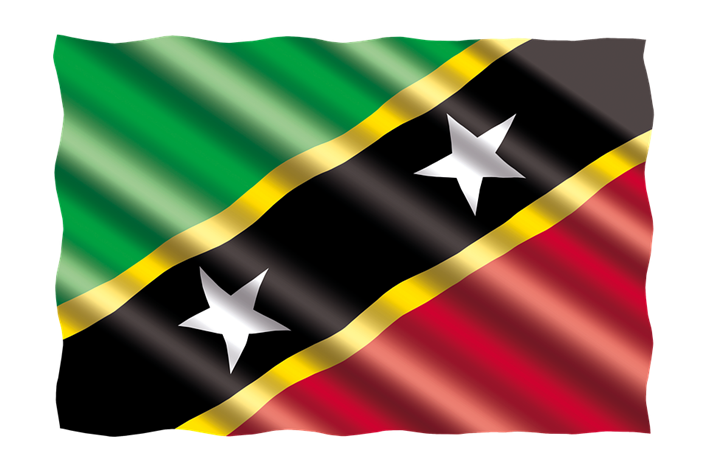 St Kitts and Nevis citizenship by investment program was established in 1984. This makes it one of the oldest such citizenship programs in the world. St Kitts and Nevis recognize dual citizenship and hence one need not give up one’s native citizenship to enjoy the island life. The country also offers a number of tax benefits as no taxes are levied on wealth, gifts and capital gains. In addition, any trade you conduct between St Kitts and Nevis and other Caribbean countries or Canada is tax-free. St Kitts and Nevis Citizenship by Investment – Do you Qualify for the Program? The citizenship by investment program can get you a new passport in just about 4 months. During this time, you do not necessarily need to travel to the country. There are no education or experience criteria to be met either. While applying for this type of citizenship, you may include dependent children under the age of 30 years and dependent parents or grandparents above the age of 55 years on your application. Once you have citizenship, there is no minimum time period you need to stay in the country. There are two ways prospective citizens can make an investment for this program – through a donation to the Sustainable Growth Fund or by investing in Real Estate. Thus for a family for four, a total investment of USD $ 195,000 would be needed. In addition to this, due diligence fees must also be paid for each applicant and dependent. In both cases, the property must be government – approved and the investor must pay the applicable fees and taxes associated with the property acquisition. You could even invest in a luxury resort. Alternatively, you may purchase shares in a real estate development program. This option offers recoverable investment as the property may be sold at the end of the holding period. Under normal circumstances, a citizenship by investment application could take about 4 months to be processed. This process may be accelerated to a 60-day processing period. Additional fees are payable to accelerate the processing of an application. This amounts to USD $ 25,000 for the main applicant and USD $ 20,000 for each dependent. Applicants from some countries like Iraq, Yemen and Nigeria are not eligible for accelerated processing.